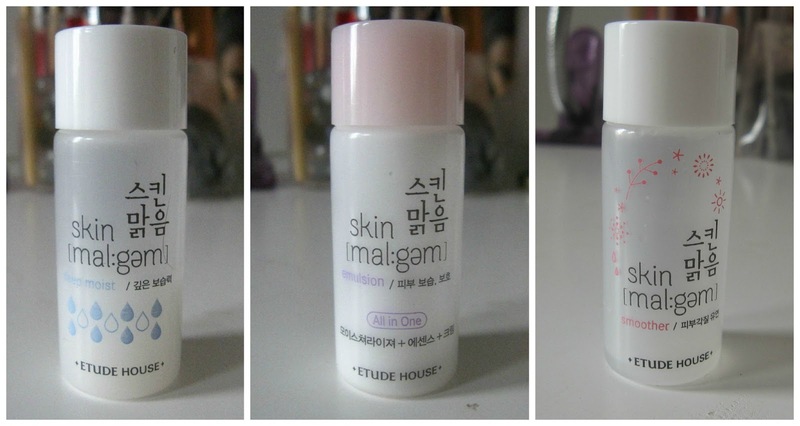 Today will be the long awaited review of the Etude House Skin Mal:gem I got to try from Kocomall. I have used up most of the products in a two and a half period of time (2 1/2). I have a whole lot of things to say about these products. These are the three samples I got from Kocomall for review. I used up the Smoother, but half-way done with Emulsion and Deep Moist. Deep Moist: This product is okay. I had some dried flakes on my nose, to counteract it used this as a treatment before going to bed. When I awoke, there was still flakes on my nose, but my skin was supple. I think I had the flakes because my skin was dehydrated. I am going to try this product again when I have hydrated, un-flaky skin. The consistency is thick and runny formula. It really feels like luxurious, thick water on your skin. It is a foggy, white color. I need to try this again, I was hoping it would get rid of my flakes, other than that, it made my skin very supple. Emulsion: I have to say, I really like this product. It is a great product to use in the morning because it is very light. I feel refreshed and skin is moisturized to the point it is not look like oil is seeping out. Now, I am pretty sure this a moisturizer, actually it is a Emulsion: a light moisturizer. Smoother: This is my favorite product out of the bunch because I really saw a difference. This product really helped clear my acne and made my face a lot more smoother! My skin was a lot softer and my makeup applied much better. It apparently works similarly as the SK-II Facial Treatment Essence ( which is like one hundred-fifty +) It claims to be exfoliating, which is great! My favorite product with fantastic results. Smoother:I am definitely going to repurchase the Smoother Toner. Deep Moist: Nope, although it made my skin supple, it did not moisture the way I wanted it too:( I will give it a second chance though..
Spring is in the air ( not in Ohio....) Flowers blooming and the sun shining... on the west coast it is! Where I live, I am still stuck in a Fall weather. You heard right! Not Spring, not Winter, nor Sprinter, or.. you get the picture. If it is not outside, why not capture spring in your make-up with something elegant, sweet, and romantic. These are the characteristics I think of when I think spring. If you love smokey-eyes for spring, GO FOR IT! Express yourself in a age-appropriate manner. I have posted some videos and links to some great tutorials. To be honest nothing else really caught my eyes:( I feel like the looks above capture the essence of spring. Make the full use of pastels this spring, according to Laila (reliable source) these colors make you happy. Do you have any looks you have created or I should check out? 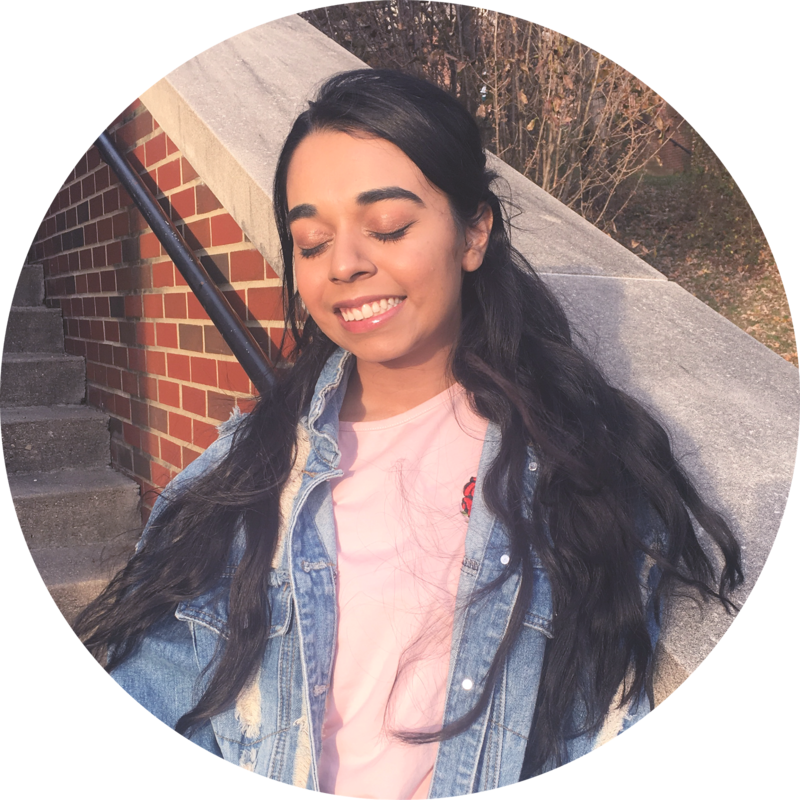 I decided to do a wants and finds post to show the things I have been wanting over the past few months. Most of which are skincare products to fix my pimply-scarish skin. Which is almost healed after I started using the items from Kocomall (you can find the items I am using here). 1. Etude House Skin Mal:gem : Smoother is probably one of the best skin find of the month. I tried a sample and it really smoothed out my skin. I am looking forward to buy the full sized version. 2. Laneige Water Sleeping Pack is hydrating cream packed with even more benefits than just looking nice :) I really like the feeling of clean, fresh face while I am sleeping. It gives me a piece of mind. 3. Lorac Pro Palette is probably going to take-over or go head-to-head with the naked palette. I like the concept because it has cool, warm, neutral, matte, and shimmer. It is more versatile than Naked Palette. I would like to blame Judy for making me want this item..
4. Hadalabo Gokujyun Lotion is probably the item I want the most this month. It says it is a lotion, but people call it a toner? This product is sold every for seconds in Japan ! Cray..right. For this obsessive order I blame Wengie and Sunny. What do you want this month?